Please note: when you are using the first variant, the eventcounter will not be displayed! If you are happy with the previous format and do not anticipate any need to have full access to individual properties, option 2 is probably the best to use. If you interested in the poperties (e.g. 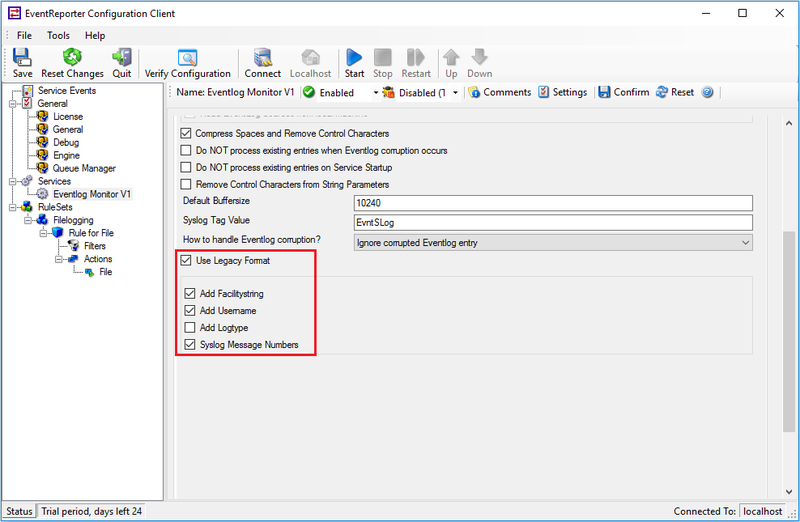 to send email messages different in format from syslog messages), you should go for option 1. Full details on the properties available can also be found in the manual under “property replacer“. 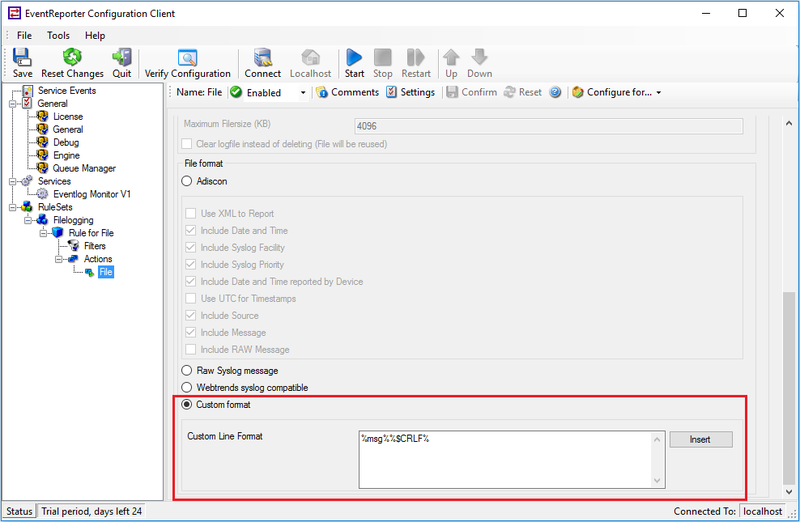 Please note that once you set the event log monitor to legacy format, you can NOT remove the extra information inside the msg property. « Why did the version upgrade fail?